May We Help Volunteers help Joyce and her husband Paul, both living with disabilities, live more independently and comfortably in their Ketterington home. A team of Volunteers have worked on several projects for Joyce which have allowed her to have better mobility within her home and an easier time with daily living tasks such as doing dishes and taking a shower. 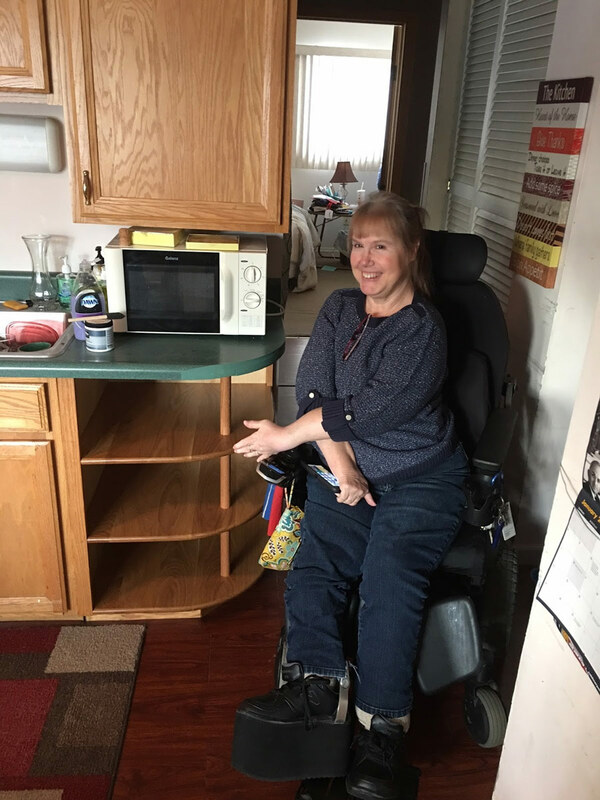 Joyce lives with a condition called Arthrogryposis which affects her joints and range of motion in her her arms and legs and her husband Paul has progressive Multiple Sclerosis. 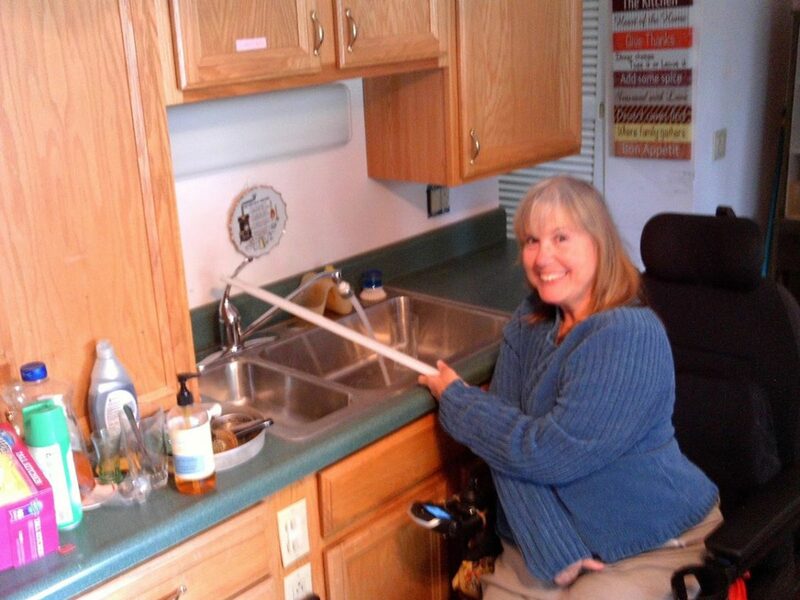 In October of 2016 Ray Riley (May We Help Senior Volunteer) adapted a kitchen faucet by adding a “grab bar” that Joyce can use to adjust the water temperature from hot to cold and turn the faucet on and off while remaining in her wheelchair. While completing this project, Volunteers noted that Joyce’s kitchen set up was not functional for her. 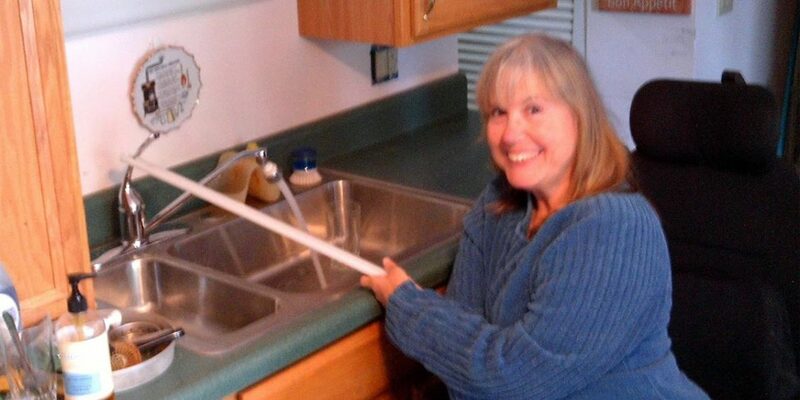 Joyce had limited mobility in the Kitchen due to a protruding dishwasher. This made it difficult for Joyce and her Husband to get in and out of the kitchen in their wheelchairs. Joyce indicated that the dishwasher was no longer useable due to damage to the door from the wheelchairs bumping into it. Additionally, Joyce was not able to reach the upper cabinets in the kitchen and therefore unable to get dishes in and out. 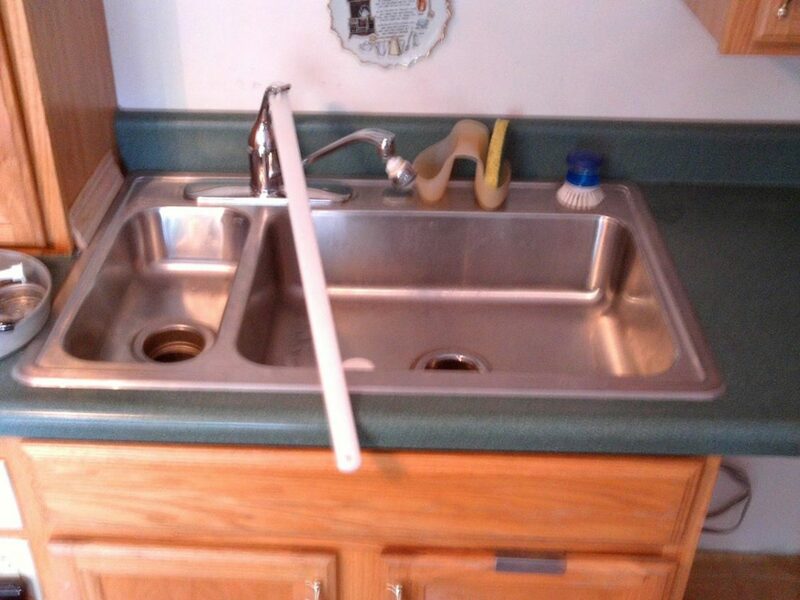 Joyce often left her dishes sitting on the counters where she could reach them. This caused clutter and lack of counter space for cooking and other kitchen tasks. Furthermore, when support staff came to the home they would “help” by putting the dishes away which caused them to again be out of Joyce’s reach. May We Help Senior Volunteer Paul Wenner created a custom wheelchair height storage shelf so that Joyce could more easily reach her dishes. Joyce had the dishwasher removed and put the custom cabinet in it’s place solving both mobility and access issues. When asked about the modifications made, Joyce replied with a smile “I love it so much, people don’t put things out of my reach anymore. I can get to everything. I still get a chill when I am doing my dishes, it’s so exciting”. Most recently Senior Volunteer Ed Behnke created a custom leg brace for Joyce to wear while showering. 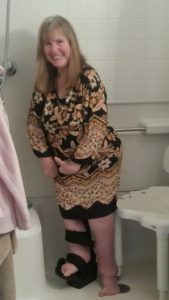 Joyce is not able to wear her regular brace in the shower as it is not waterproof, without it Joyce is not able to walk or stand, therefore making it difficult to get in and out of the shower and requiring her to sit while showering.